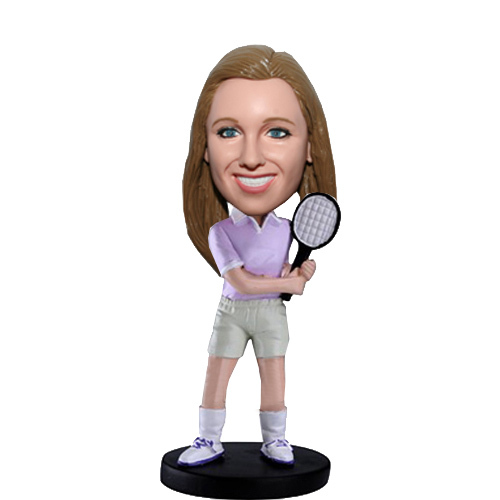 Wearing a purple polo shirt and shorts, this custom female bobble head is a tennis player. Preparing a backhand, she is ready to strike back.It’s a customized bobblehead featuring classic tennis outfit and racket. 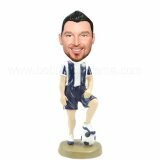 All the tennis lovers will love to see their face bobbling atop this bobble head body. 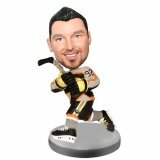 When received it, you will be shocked by it's likeness.